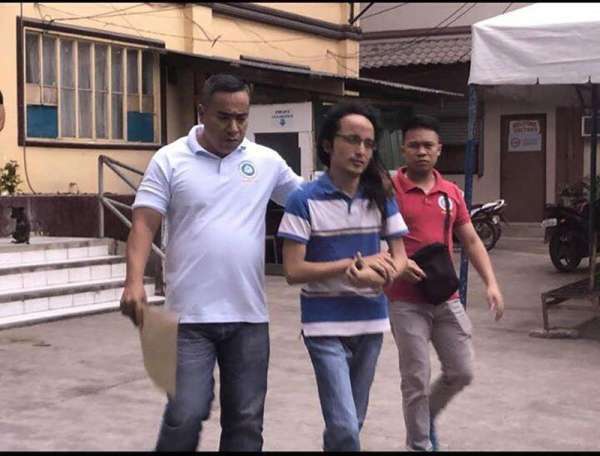 A FACEBOOK post led to the arrest of a call center agent Tuesday, March 19, in San Fernando town in Cebu after he was charged with cyber libel before the Regional Trial Court (RTC). RTC Judge Ramon Daomilas Jr. of Branch 11 ordered the Regional Anti-Cybercrime Office 7 to arrest Shielbert Michael Alerta Encabo, alias Shielbert Alerta Encabo, Micmic Encabo, Mikay Alerta Encabo and Rachel Pollo, for the crime of cyber libel. Ritchie Paul Manugas filed the complaint against Encabo for cyber libel following the allegedly defamatory statements posted against him on Facebook. Encabo, alias Rachel Pollo, posted on May 21, 2018 on Facebook a statement about Manugas involving a priest, a child and a drug personality. On May 23, 2018, Pollo posted Manugas’s picture on Facebook with another defamatory statement. Manugas and witnesses Jennifer Loguibar and Analie Loyola asserted that Rachel Pollo is Shielbert Michael Alerta Encabo. In her affidavit, Loguibar said Encabo admitted to her that he owns the Rachel Pollo account and saw him access the Rachel Pollo account. Encabo allegedly used the Pollo account to shame debtors. Loyola, in a separate affidavit, corroborated Loguibar’s statement. In his counter-affidavit, Encabo denied the allegations and insisted the he only had one Facebook account under the name of Shielbert Alerta Encabo. He also said he does not know and has not heard of a Rachel Pollo.